It’s no secret that mi mama and I share a deep passion for I Love Lucy. Some have called it an obsession. We like to think of it as a healthy adoration. I mean, seriously, doesn’t everyone devote a portion of their living room to pictures and memorabilia of their favorite TV show from the 50’s? Isn’t it normal to drive across the country in order to visit a museum devoted to their favorite redhead and Cuban bandleader? Don’t most people decline invitations to the movies or anything else that would require them to leave the house so they can stay at home and watch a two-day marathon of episodes on the Hallmark channel? Yes…? So really it’s no surprise that there are different times throughout my day where certain scenes from episodes of the show pop into my head causing my thoughts to focus on some sort of sticky situation or predicament Lucy and Ricky have found themselves in. Just yesterday, as I was standing on my step stool, looking through my pantry trying to decide what sort of meal to create for dinner, I was struck by a Ricardo-esque concoction based on two ingredients staring me back in the face. 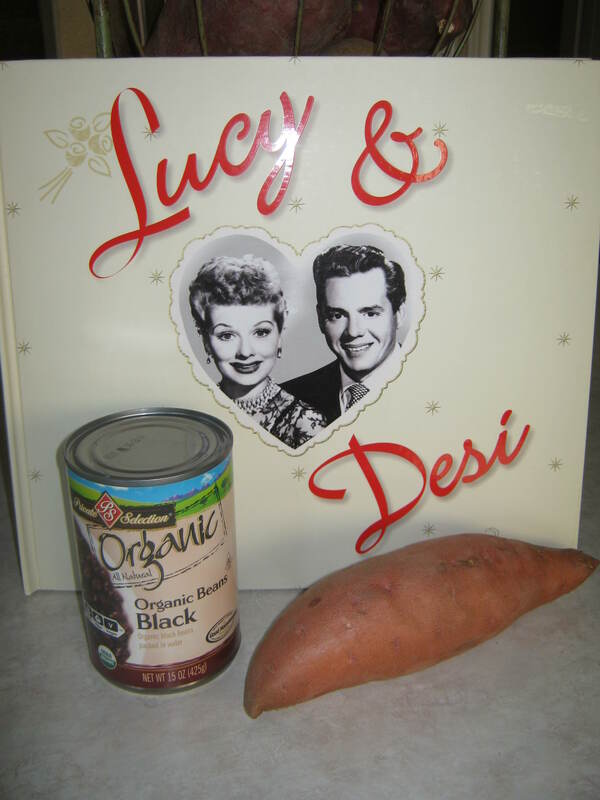 Yes, that would be a can of black beans and a sweet potato. 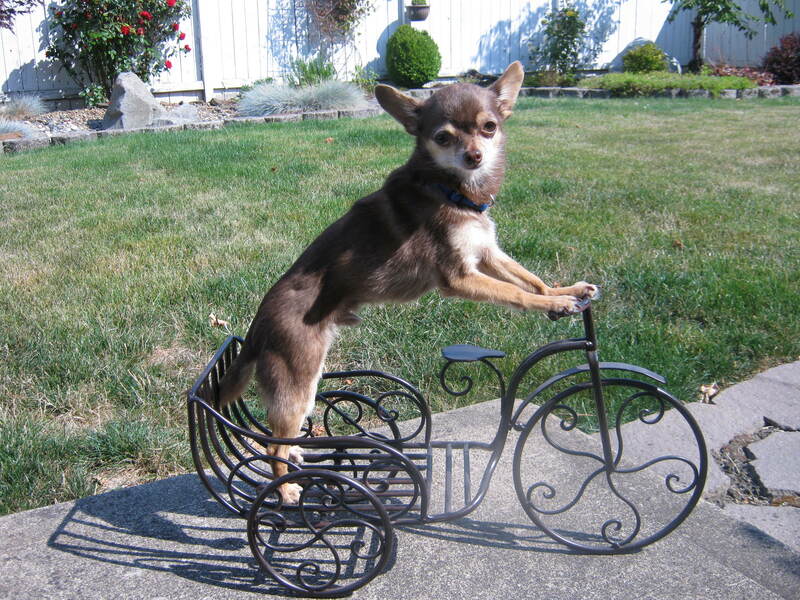 Now if you don’t see where I’m going with this, you obviously don’t possess as wonderfully creative a mind as I do. Black beans (aka the spicy dark-haired Cuban) and a sweet potato (aka the delightfully sweet and zany redhead). What a great pair! And thus, the idea for the Ricardo Burger was conceived. 1) Once you have cooked the quinoa and sweet potato, preheat oven to 400 degrees. 2) In a small bowl, mash half of the beans and then stir in the other half of whole beans. 3) In a large bowl, mash the sweet potatoes. Stir in the seasonings and olive oil. 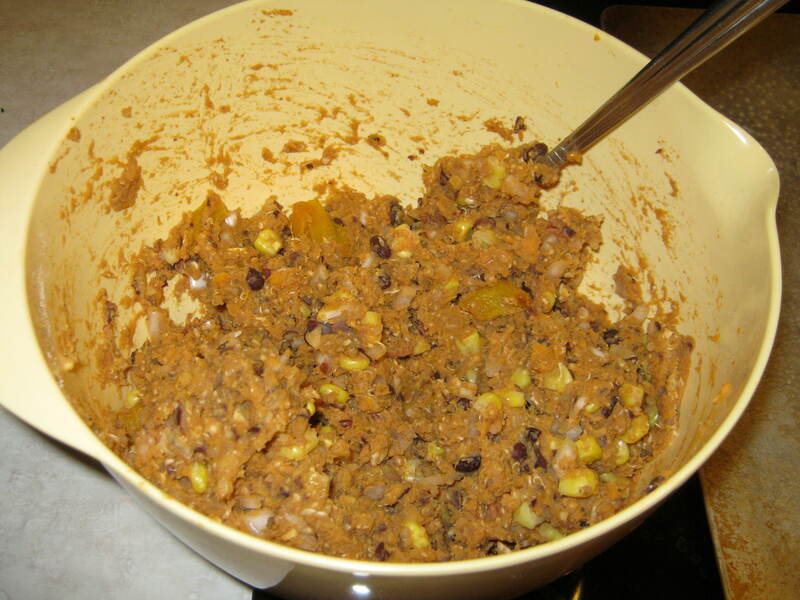 4) Mix in the rest of the ingredients, including the black beans. 5) Form into balls and then flatten into 1/2″ thick patties. If they are too thick, they won’t cook as well and may fall apart. You should have around 8 patties. 6) Place on a baking sheet either greased or lined with parchment paper and bake on each side for 15 minutes. 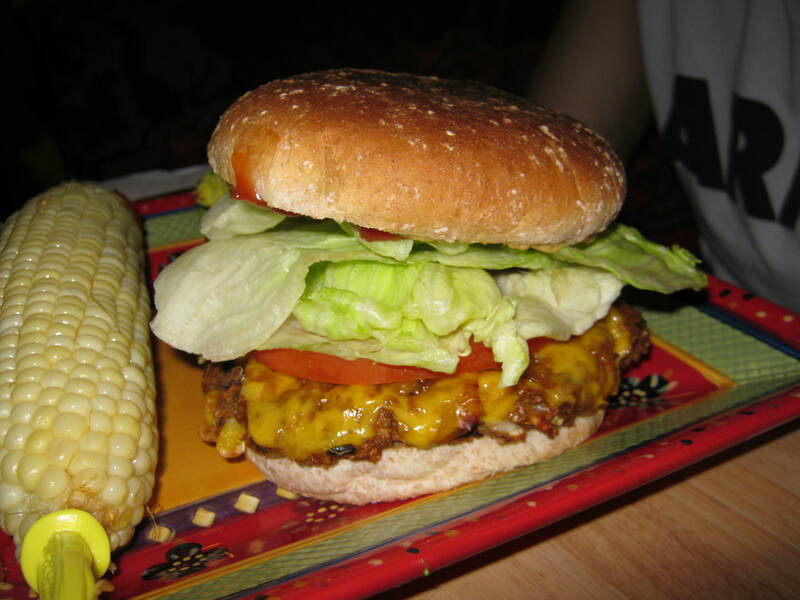 7) Serve on a bun topped with all the fixings (cheese, lettuce, tomato, avocado, red onion etc) and enjoy! And with that, I’m off to my weekly “I Love Lucy” fan club meeting. Have a great noche, my friends! This couldn’t have been better timing! 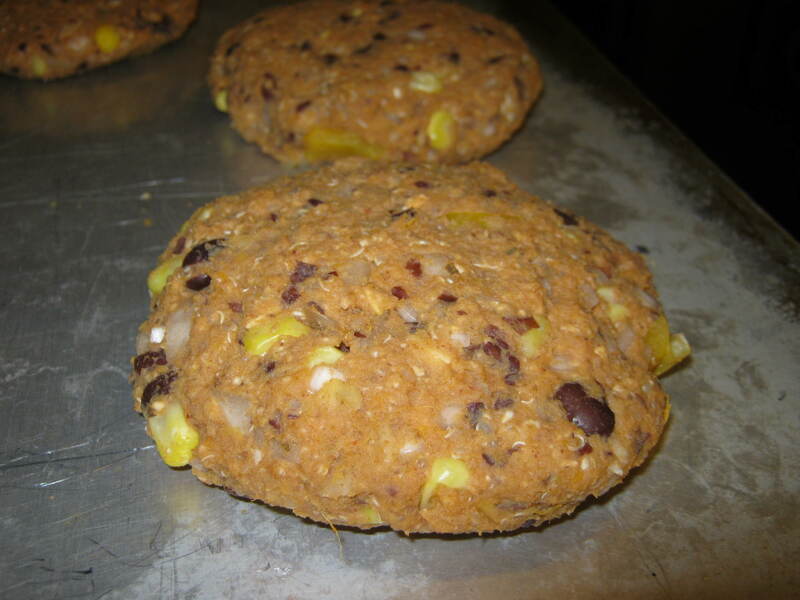 I have been searching for a delicious black bean burger recipe! I can’t wait to try this one out. I just made these and they were to die for!!! Yay! I’m so happy you liked them, Bubs 🙂 And thank you for leaving comments. It’s nice to know when others are actually trying out the recipes I post. Keep ’em coming!